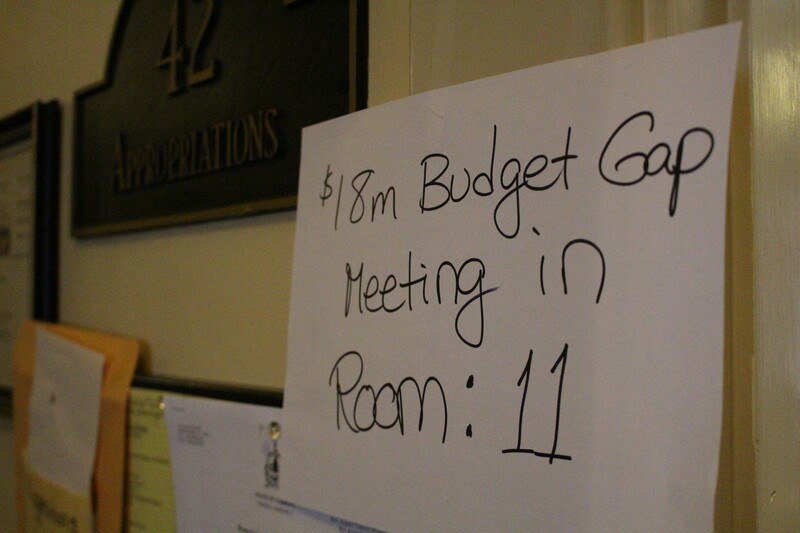 After weeks of closed-door meetings, the Shumlin administration and top legislators on Thursday released a new list of budget cuts they could deploy to save more than $28 million. As they outlined the potential savings in a Statehouse hearing room, lawmakers described them as everything from "tough" to "painful" to "incredibly difficult." It's unclear which of the cuts will actually see the light of day. 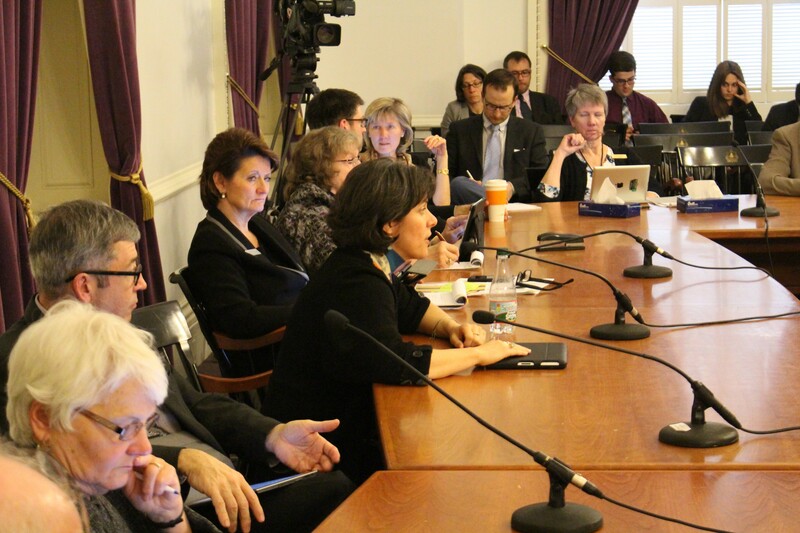 House Appropriations Committee chair Mitzi Johnson (D-South Hero) emphasized that the two-page document she presented was merely a menu from which legislators could choose as they seek to close a $113 million gap in next year's budget. "This is an all-in list," she said. "It doesn't mean that we're doing every single thing on this list. It's that we feel like it's the right thing to do to be as transparent as we can be with the magnitude of this problem, what it's going to take to solve it and the kinds of things that we're looking at." "This is a tough list," Secretary of Administration Justin Johnson told members of the appropriations committee. "It's not an easy thing to do, but we are also in the administration committed to a state government that lives within its means and does that going forward." Gov. Peter Shumlin presented a budget last month that would have closed the state's then-$94 million budget gap. Just a week later, the state's projected revenues were downgraded by another $18.6 million. Legislative leaders asked the administration for a proposal to bridge that gap but were rebuffed. So even if the legislature accepts every last line in Shumlin's budget — a scenario that grows less likely every day — it will still have to come up with an extra $18.6 million in cuts or tax increases. And that's where the new menu of options comes in. Not every idea on the list came with a savings estimate, nor were they all plausible. One suggestion was to reduce the number of Vermont House members from 150 to 120. The legislature could also choose to raise more taxes than Shumlin recommended, a possibility Rep. Johnson embraced. "Revenue will be part of this package to close this gap," she said. "But no matter how much revenue we add, [the budget is] still growing at 3 percent." The state's public sector labor unions hope new taxes will play a far greater role than the Shumlin administration has recommended. At a press conference earlier Thursday at the Statehouse, the Vermont State Employees Association released a revenue plan of its own, which it said would raise up to $32 million — primarily from wealthier Vermonters and out-of-staters. The union proposed eliminating the capital gains tax exclusion, capping the mortgage interest deduction, imposing a minimum tax on high-earners and levying a hotel occupancy fee. "Our governor talks a lot about hardworking Vermonters who can't afford to pay more in taxes, and he's right about that," said Leslie Matthews, who chairs the VSEA's legislative committee. "We are not here today to ask our legislature to raise taxes on Vermont's middle class. Actually quite the opposite: We're here to propose a revenue plan that will protect Vermont's middle class and not degrade Vermont's economy and public services through further cuts." In his budget, Shumlin proposed finding more than $10 million in unspecified labor savings, in part by reopening the union's contract. But even as the administration has threatened significant layoffs, the VSEA has refused to budge. 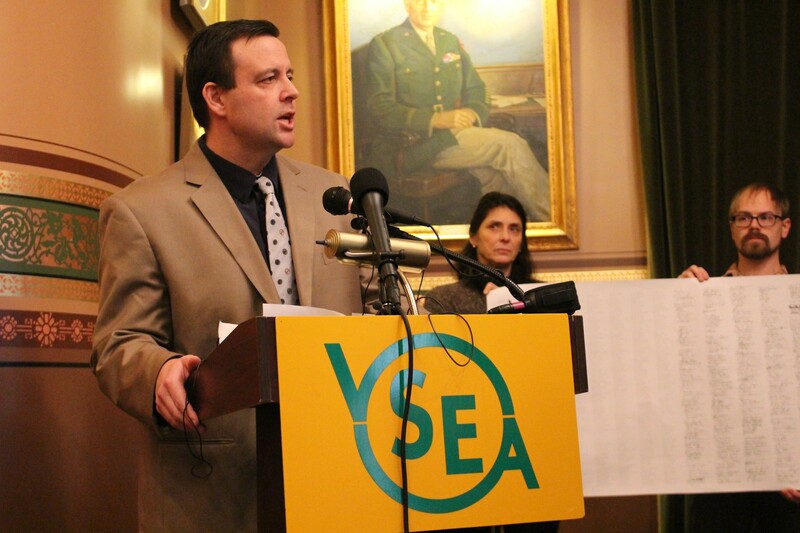 "The Vermont state employees and the quality services they deliver are under attack, and we're here today to say, 'Enough is enough,'" VSEA executive director Steve Howard said. "Before you take money out of the paychecks of snowplow drivers, nursing assistants, custodians and administrative assistants — before you unfairly target 6,000 state employees with a state employees tax — we believe you have a moral obligation to ask for a greater contribution from a broad-based revenue source paid mostly by the wealthiest Vermonters who have had all the economic gains in the last decade." After the press conference, Shumlin spokesman Scott Coriell indicated that his boss was not inclined to take the union's advice. "The fundamental issue is that state spending is growing faster than revenues," he said in a written statement. "Unless we can work to match spending with revenue growth, we'll be right back here again next year in the same situation."